One of the simplest options for you to try out is to make sure that there is a copy of your keys available. Having a backup plan is undoubtedly one of the easiest and most obvious things to opt for. In the situation where you lose your keys and are locked out, the simple service of calling us up and getting a copy of your original keys made in no time can be quite advantageous. 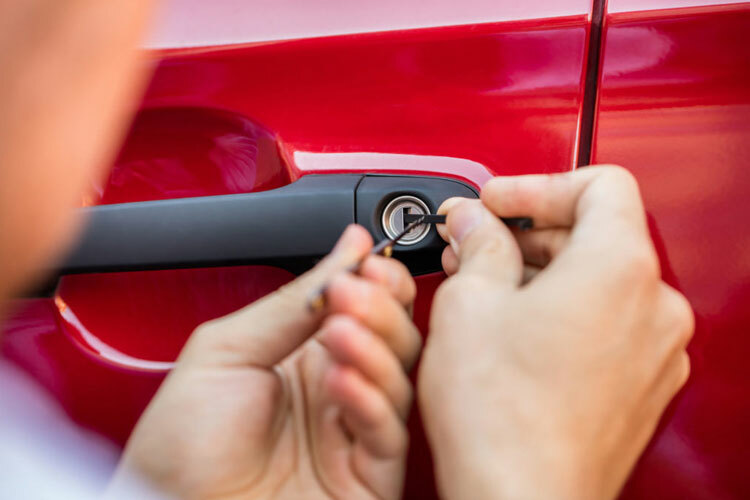 Finding a locksmith in a large city, especially one you can trust and one whose services will be provided to you in a timely manner can be hard. Magnus is assisting you in this matter in the best possible way. It’s a simple yet incredibly convenient service, just ready for you to try out. Transponder keys are slowly beginning to replace your average set of keys, and that too with good reason. The convenience and ease they provide are the rationales behind their increasing popularity. They can be used to lock and unlock your car from a distance. If you have forgotten to lock your car, there is no need for you to go all the way back to your car to do so. It can simply be done from inside the comfort of your home! Or if you’re carrying a lot of groceries and coming from a distance, reaching your car and fetching for the keys while holding a load of bags can be hard. Transponder keys allow you to open your car from a certain distance, collect your groceries and reach your car to open your door with the utmost of ease. And if you think that transponder keys are harder to replace then normal keys, we at Magnus are proud to tell you that that is not the case. Our service provides easy and fast replacements for your transponder keys as well! Stay up to date with the latest trends and updates in the tech market and upgrade your normal set of keys for a pair of transponder keys to make your life easier and more efficient! Perhaps the problem of starting your car lies in the ignition switch keys. A misplaced pair of keys is not always the case. That ignition keys might also cause a problem and these problems can be as irritating and difficult to solve for you as a missing key. If you’re in a situation where you can’t start your car or your ignition key is stuck, Magnus Sentry has a quick and simple solution for you! Just give us a call and we will reach your location to assist you. Our state-of-the-art technology and top-notch facilities ensure that no discomfort is caused to your person and that you stay safe and problem-free, any place and any time of the day!